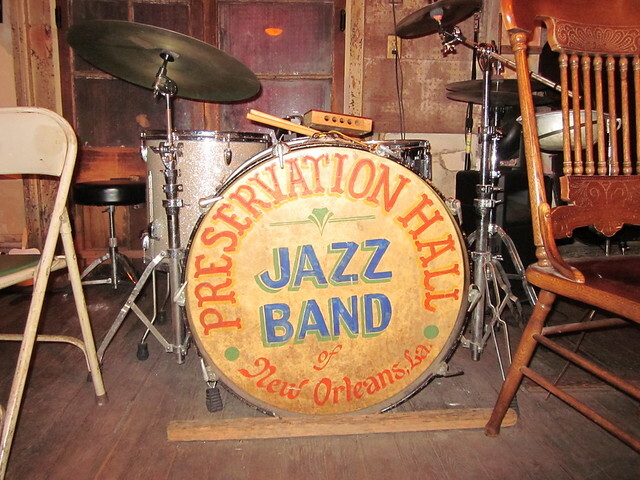 Preservation Hall, a French Quarter classic since 1961, is still flourishing today. The hall is open seven days a week from 8 to 11 PM, though I advise getting there by 7 to make sure you will be able to get in. The cover is very reasonable at $10 a person. The lineup at Preservation Hall is always world class jazz, blues, or brass bands. The hall is small and intimate. 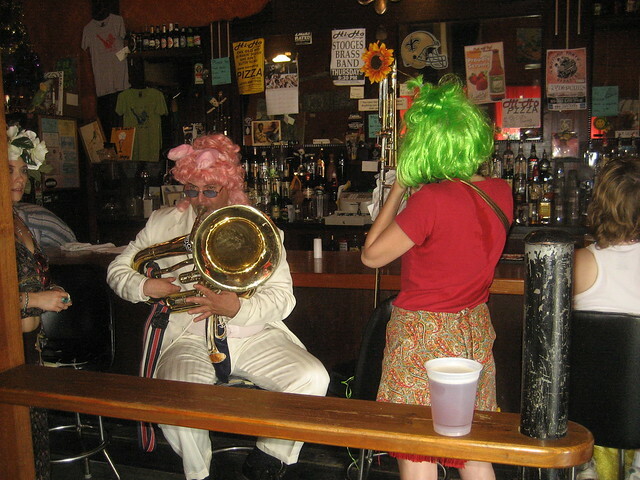 The only places to sit are wooden benches, and there is no air conditioning, no amenities, and no sound system — but when the band starts, the frills don’t matter. 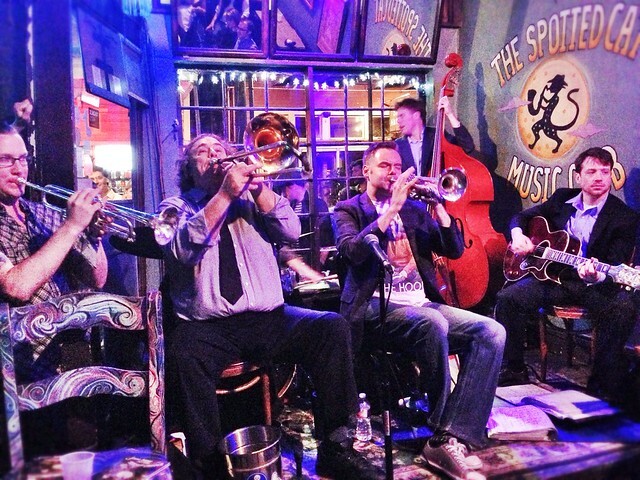 The Spotted Cat is one of a cluster of well-loved venues on Frenchman Street, just northeast of the Quarter. It’s a cozy, intimate spot featuring local jazz acts that are often more mellow than the big brass bands you’ll see in the larger venues. Staff are friendly and there’s generally no cover; drinks are priced up a tad as a result. Like most spots on Frenchman, the Spotted Cat draws a cool mix of locals old and young, and handfuls of tourists intrepid enough to leave Bourbon Street behind. If your ideal jazz bar experience is a dim hole-in-the-wall where you sit a few feet from the band, this could be your spot. 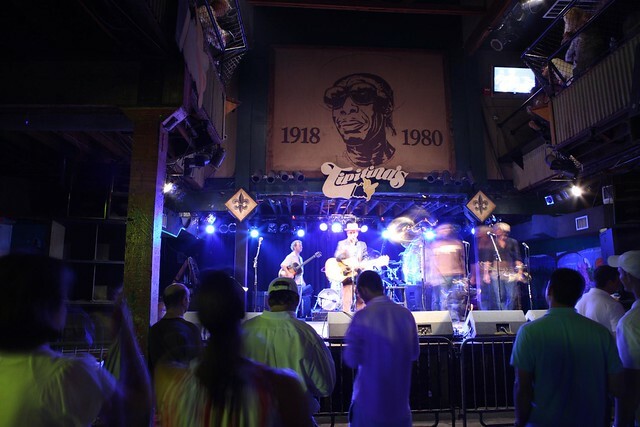 Tipitina’s has been an Uptown New Orleans institution since 1971. Shows are Wednesdays through Sundays, with varying ticket prices. Sunday evenings are host to a weekly Fais do-do, a night of Cajun music and dancing. Cajun music could be described as a cross between bluegrass, country, polka, and a few more old time music styles. 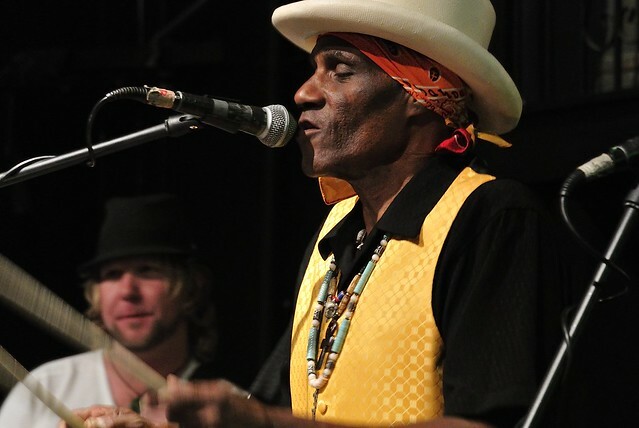 The rest of the shows feature rock, blues, zydeco and other music styles. The club is decent-sized, and has a place to buy t-shirts and other souvenirs. The admission fee also helps out Tipitina’s foundation, which helps keep the spirit of New Orleans music alive. The Rock N’Bowl, or Mid-City Lanes, dates back to 1941. While it is a bowling alley, and has somewhat shoddy acoustics, it is also one of the best venues in the city. There are shows most nights of the week, and you can bowl at the same time. Bowling lanes are hard to get most nights, so reservations are a good idea. The shows here run the gamut of musical styles, but rock is a favorite, and it gets nice and loud during shows. The management consistently books good bands. There is also a well-stocked bar and some decent food for sale. Hi-Ho Lounge could be considered a dive bar, but it’s a great place for music– especially the Monday Night Blue Grass Pickin’ Party. There’s no cover charge; just buy a drink at the bar. The rest of the week is filled with harder music acts. The Hi-Ho Lounge is a bit difficult to find as it is out of the way of the normal tourist spots, but worth the effort. The atmosphere is nice, with artwork displayed, and a good drink selection. 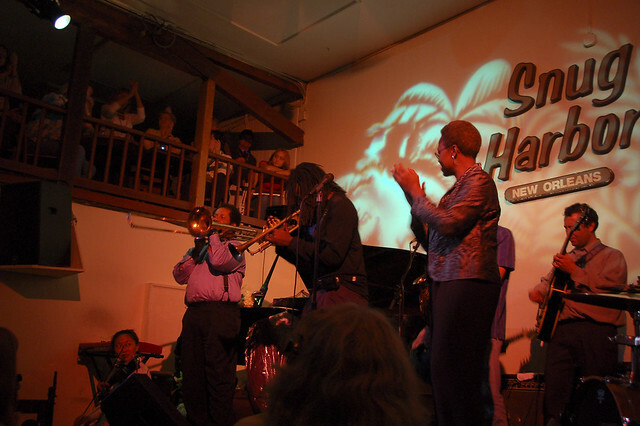 Snug Harbor is a “World Famous” jazz bistro, with a restaurant up front and a jazz club in the back. The club hosts a jazz musician every night of the week. Mondays always feature Charmaine Neville, who blends music and stories to entertain the audience. The rest of the days are filled with world-class acts. The bar has a wide selection of drinks and waitresses serve throughout the show. 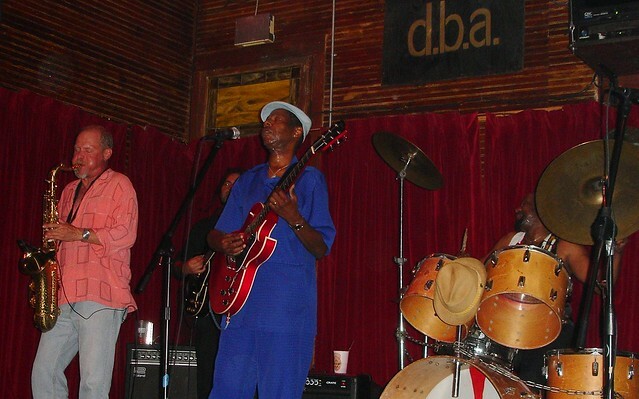 Another Frenchman Street favorite, d.b.a. breaks from the NOLA norm, with a bit of a hipster vibe and a more eclectic line-up. You might come across anything from folk to indie rock to African jazz here, along with some of the more traditional local fare. Arrive early to beat the cover charges, or pay up if you’re feeling fashionably late; it’s usually $5-$10. d.b.a. is also blessed with one of the finest liquor and beer selections in the entire city — give the chalkboards above the bar a good look for that night’s extensive list. While the House of Blues is a chain, it’s still a top music destination. There is also a restaurant. 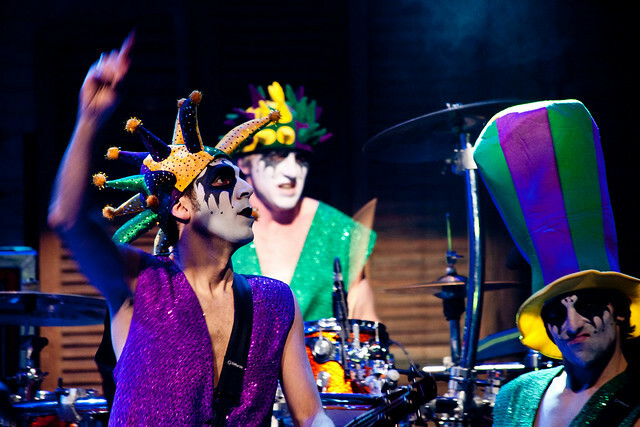 The House of Blues hosts both national and local acts almost every night of the week. While it holds a good number of people, it retains an intimate atmosphere. Tickets can be purchased in advance via Ticketmaster to avoid lines. While at the House of Blues, be sure to stop by local music repository the Louisiana Music Factory, just across the street. It sells works by local blues, jazz, and zydeco artists, as well as less regional blues, soul, country, and R&B. While these are some of New Orleans’ best venues for live music, there are plenty of others to check out when you are in the city. From nationally known bands playing at headliner venues to talented local bands playing dive bars, there’s live music every night of the week. Check out NOLA’s beloved alt-weekly, The Gambit, for show listings.